Christmas time is a favorite for many, meaning yummy food, delicious drinks, and of course, gifts! I find that tea can be a delicious drink and a gift rolled into one because it’s warm, cozy, and it’s something that can b e given or received. I have given and received tea for Christmas and it’s always been quickly opened up and brewed so we could sample the never-before-tasted tea. 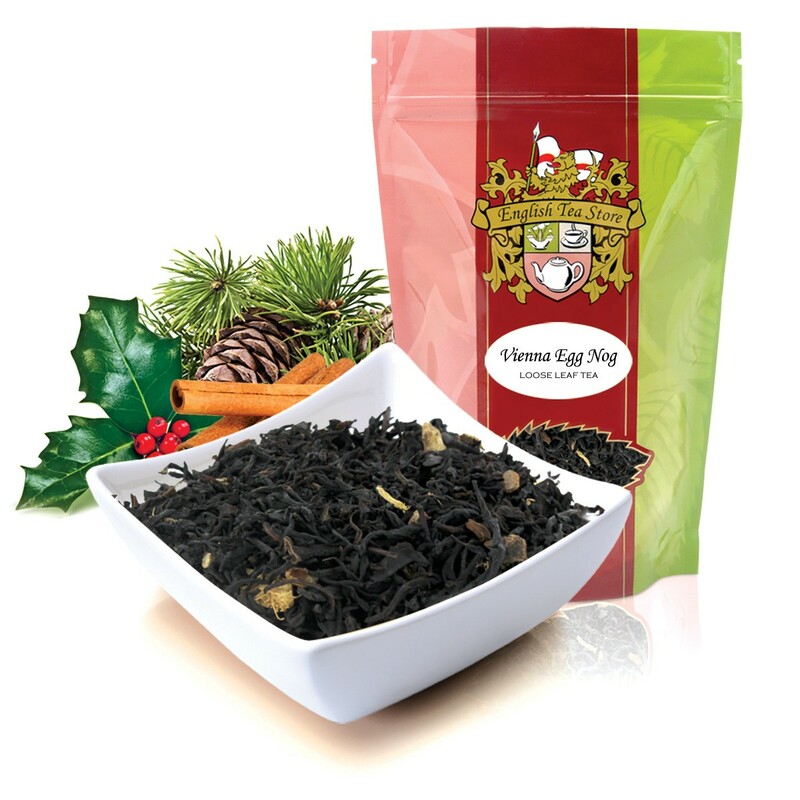 This holiday season, English Tea Store has some new holiday flavors that will keep you from ripping these open before giving them away (or saving them until brewing for Christmas)! 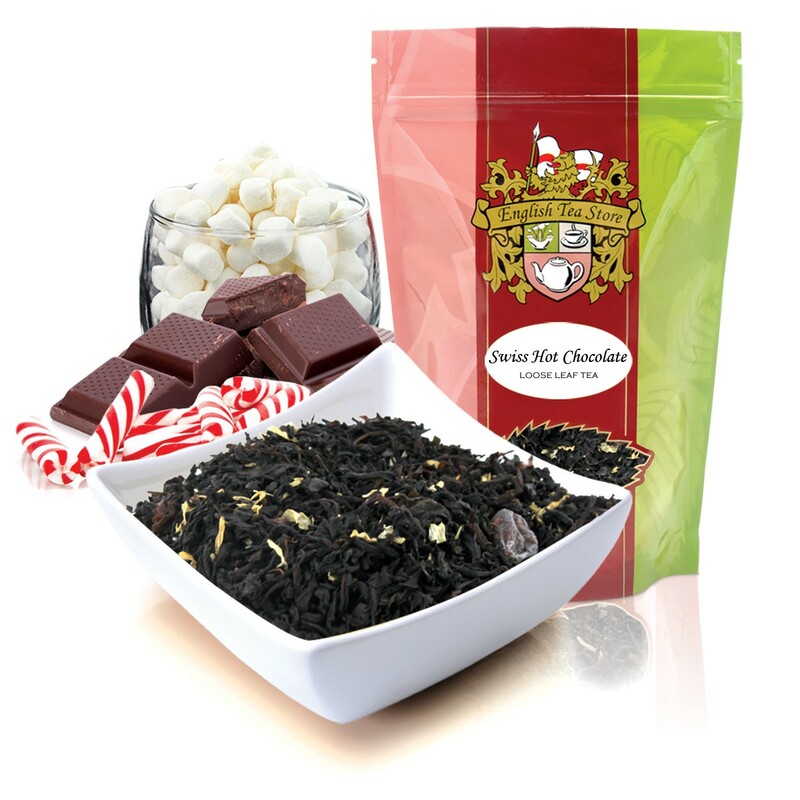 Swiss Hot Chocolate Black Tea – This is a surprising blend of Ceylon tea grown in Sri Lanka mixed with cocoa beans and white chamomile petals for a nice floral lift. You can’t even tell this is a tea! Add a splash of milk for a creamy effect. Vienna Egg Nog – For those who are fans of egg nog, this is a real treat! This is another Sri Lankan grown Ceylon tea but with delightful hints of ginger, cinnamon, and caramel. Try with or without milk! 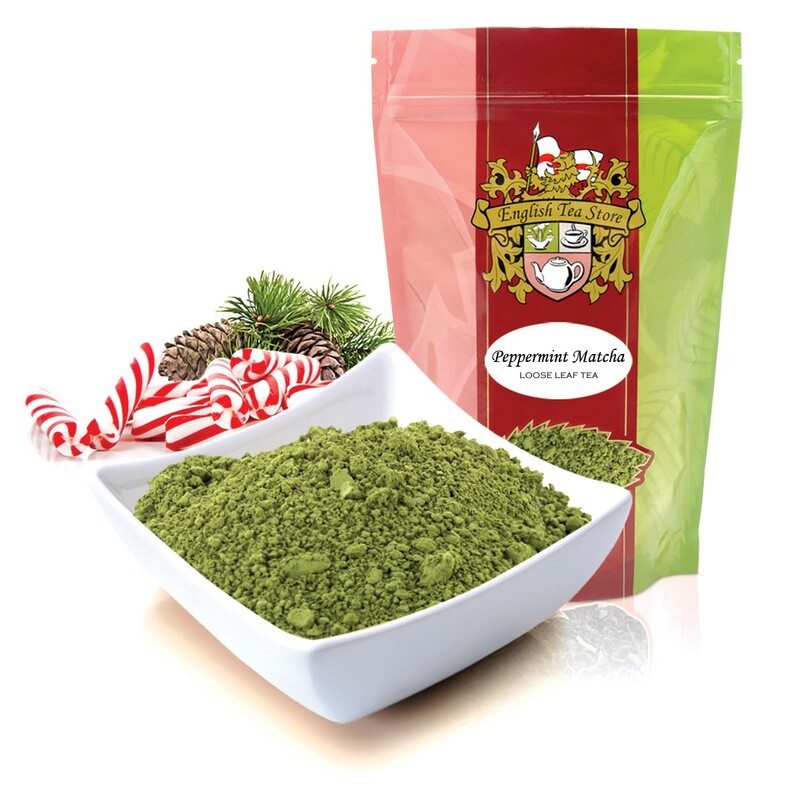 Peppermint Matcha Green Tea – Our delicate matcha powder but with a refreshing peppermint flavor. This matcha powder can be drank in its simple form brewed with hot water or you can make Peppermint Matcha Green Tea Lattes oreven in desserts such as cheesecake. Be creative! Whether you give these teas as a gift or buy them for yourself, be sure to share with a friend or a loved one. After all, it is the season of giving and one of the best parts of tea is being able to share it with someone.